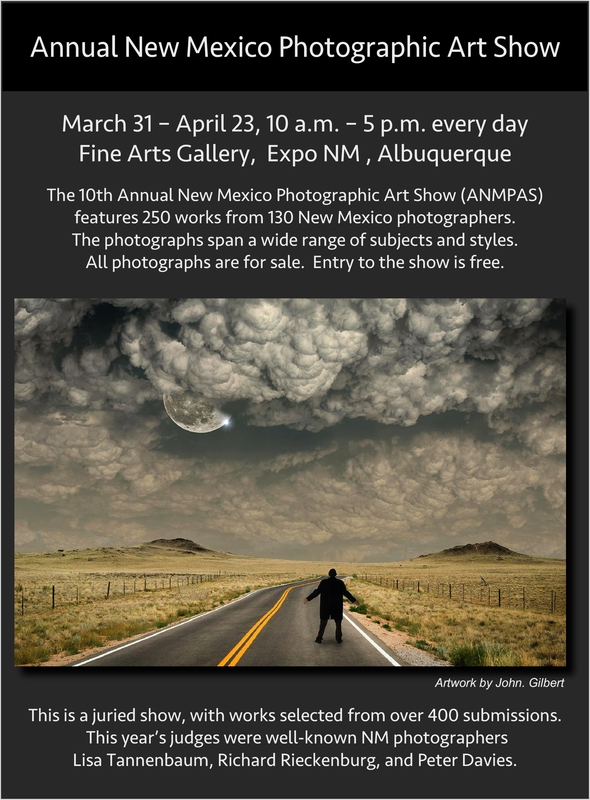 The 10th Annual New Mexico Photographic Art Show (ANMPAS) features more than 200 fine-art photographic works by New Mexico artists. The images span a wide range of subjects and styles. This juried show represents an outstanding opportunity to add to your collection of works by New Mexico artists. The show is open every day, including Easter Sunday.